Your Ads run at all times of the day. Do you have live staff answering calls 24/7? 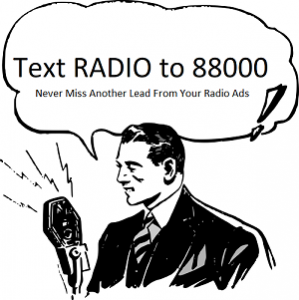 If not, make sure you have a text message call to action in your radio ads that can provide information to listeners and capture lead information for your sales people to follow up with. Imagine collecting leads with every text – even when your ads run in the middle of the night.